I love using flexible and lightweight apps. I'm a huge fan of my S5, especially for playing at the weekend . "Turn your keyboard into pure gold!" Game Goal: This is a GO Keyboard theme which will add a unique style to your Android device. 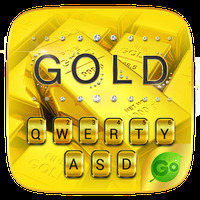 The app will coat your stock keyboard in stunning gold elements to make it stand out. Functions: It has numerous features such as its powerful predictive text so that you can write faster or a variety of dictionaries to avoid mistakes. Graphics: The app takes care of changing all elements of the keyboard to make the letters, numbers and other icons to have a golden background. Languages: English, Spanish, Italian, French, Portuguese among others. Platform: Android smartphones and tablets. Developer: GO Keyboard Dev Team is based in China	- High-ranked developer. Recomendations: Content suitable for all ages. Installation requirements: Android 4.0 and the minimum space isn't specified. Rating: The TOP 10 Most popular themes in Word Prediction category. Occupies very little memory space. Consumes quite a lot of battery life. Do you like Pure Gold GO Keyboard Theme? Best Apps of July 2016 like Unlimited Screen Recorder and Video Downloader for Facebook! Customize your Android device with this keyboard! Write faster with this application. Typing will be easier than ever thanks to this app! 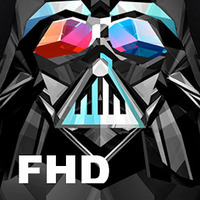 Colorful pop-styled keyboard for your Android device! Customize your keyboard with gorgeous summer themes! Android is a trademark of Google Inc.